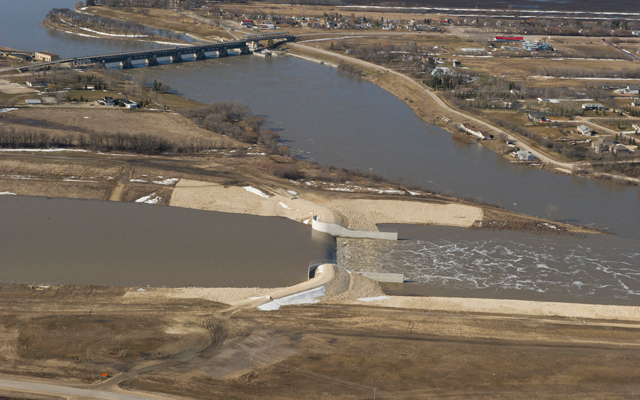 The Red River Floodway is a 47 km (29 mi) flood control waterway which, during flood periods, takes part of the Red River’s flow around the city of Winnipeg to the east and discharges it back into the Red River below the dam at Lockport. It can carry floodwater at a rate of up to 140,000 cubic feet per second (4,000 m3/s). It was expanded in the 2000s from its original channel capacity of 90,000 cubic feet per second (2,500 m3/s). 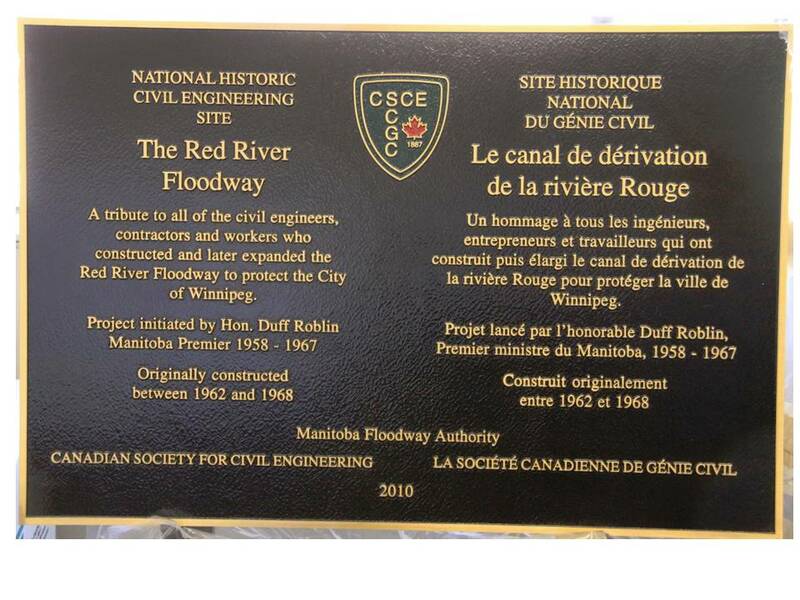 The Floodway was nicknamed “Duff’s Ditch” after Premier Duff Roblin whose Provincial government initiated the project.